Despite its decline in popularity over the years, wallpaper seems to be making a return. 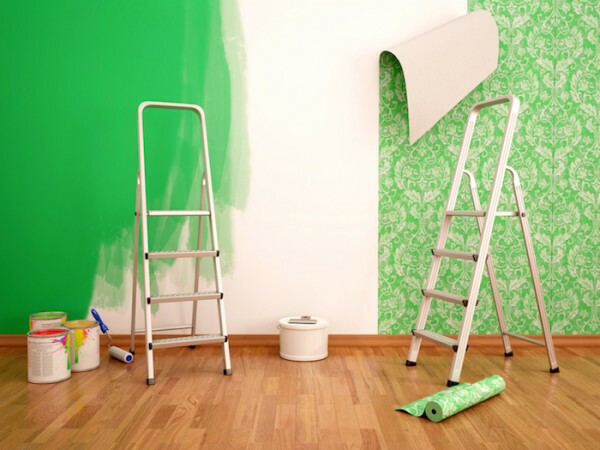 As a result, if you are planning to redecorate your room, you may have some trouble deciding between a new paint job or wallpaper. While the choice is completely up to you, there are some pros and cons you should consider about each option. One of the biggest advantages of painting is that can be easily repaired, covered up, and altered. There is an almost endless selection of colors to choose from, so you can choose a color scheme that perfectly reflects your personal style. The process of painting is rather simple and is done can be completed as a DIY project or done by professionals. With the proper tools and skills, a paint job can be successfully completed in a relatively short amount of time and will look great. However, you should consider that a painted wall will likely require frequent touch-ups and repairs throughout the years. Modern wallpaper offers a much wider range of colors, patterns, and fabrics than it used to. Consumers can choose between materials such as vinyl, fabric, paper, or other natural textiles, and are able to choose between textured wallpapers or wallpaper with printed patterns. While wallpaper can offer many of the same aesthetic benefits as paint, many homeowners may be concerned about it durability. However, professionally installed wallpaper can last up to 25 years without being damaged. As long as your wallpaper is properly installed, it should be relatively easy to clean and maintain over the years. The last thing you should consider is the cost of each option. Wallpaper installation can range anywhere from $150 to over $1,000 depending on a number of factors. Meanwhile, paint can run you anywhere from $200, or more depending on the quality of paint. While many consumers may avoid wallpaper due to its perceived fragility, the truth is the wallpaper can last just as long as a quality paint job. As a result, the choice between wallpaper and paint comes down to your own personal style preferences.